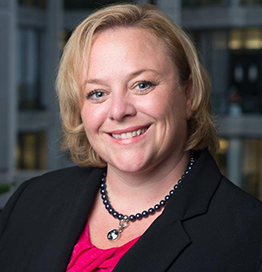 Andrea Stapley is the Director of the Security Architecture and Planning team at Sun Life. She is responsible for setting the short and long term security strategy and roadmap for the organization globally. Andrea has been in the security and operations infrastructure field for over 25 years holding various senior roles at both Rogers and the Bank of Montreal. She has spent the past three years at Sun Life building their security program. Andrea continues to be passionate about the security industry and with all of the changes we’ve seen over the past 25 years she realizes the importance of collaboration and knowledge sharing amongst security peers. Our organizations are much stronger when we work together and share intel, it will be the key to our joint success as we move forward in this fast paced industry. It’s 2016: What can you do about gender balance in Information Security?